The prayers have been answered for all sassy fashionistas who are looking to stand out in a crowd and enhance their fabulousness. 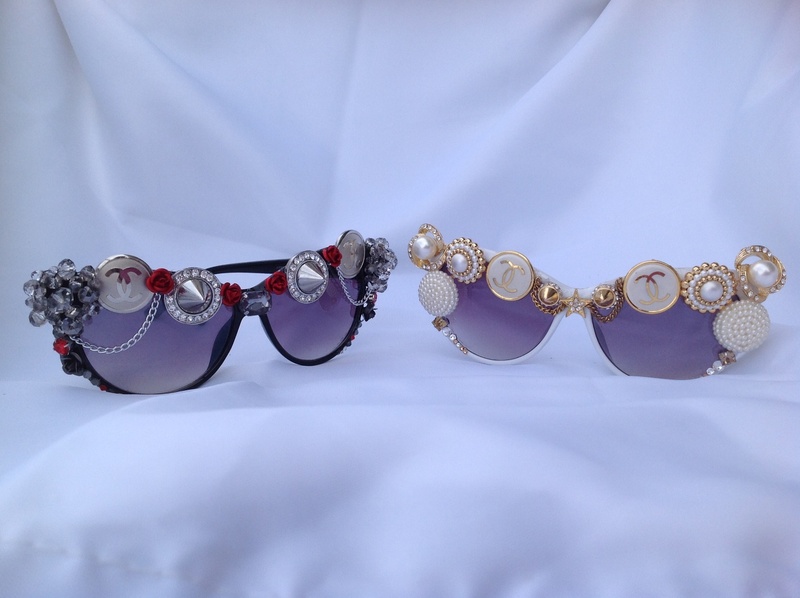 A new couture frame line #touchedbykymmi is aiming to adorn the faces of fashion-forward individuals with one-of-a-kind specs designed in a variety of colors and embellishments. The collection was created by Kymmi Tea, who combined her love for designer sunglasses and her need to upgrade what is seen as “normal” to launch #TouchedByKymmi. And, the collection is anything but normal – the web store features ornate specs designed with everything from gems to flowers to chains, and named with unique hashtags such as #BrunchWithOprah and #PinUpVixen. The goal was to develop an accessory that is seen as the “shapewear” for the face, with frames that are just as beautiful as the makeup applied. Since its launch the frames have proven to be a must-have accessory, as they have been seen on numerous runways and reality TV stars including Stevie J and Joseline Hernandez, as well as talk show host Wendy Williams. To learn more visit kymmitea.com. What a kind a gracious review! Thanks so much for this article!